Looking to balance your pH? Alkazone Alkaline Booster Drops may just be the right solution for you. Loaded with potassium and essential minerals, these drops claim that they can boost the alkalinity of your water and neutralize acidity. But do they really work? Let’s take a closer look at what these drops do and the results. 1 What are Alkazone Alkaline Booster Drops? What are Alkazone Alkaline Booster Drops? Alkaline Drops are an easy way to raise the Ph of your drinking water one glass at a time. Alkazone Alkaline Booster Drops are designed to raise the pH of your water to improve alkalinity and reduce acidic waste. Formulated with key minerals, like magnesium, zinc, phosphate and calcium, these drops turn ordinary tap water into antioxidant-rich mineral water that helps combat free radicals. Let’s face it, most of the water we drink today is contaminated by pollutants, medications, fluoride, chlorine and a host of other things. And because of this, our water is more acidic than it once was. What these drops do is improve the alkalinity of your water and boost its antioxidant levels. These antioxidants neutralize free radicals and protect healthy cells. I was skeptical of these drops at first. 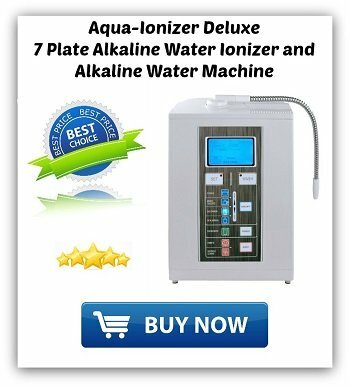 I’ve read some complaints that other similar products never actually raise the pH of the water. I was pleasantly surprised to find that this was not the case with Alkazone. Alkazone’s alkaline drops are available in two sizes: 1.2oz and 2.5oz. To use, you simply mix 3 drops with 8 ounces of water. Alkazone recommends drinking five glasses a day. You can also add it to your coffee, tea, juice or other drinks to reduce acidity. The 1.2 ounce bottle has about 200 servings, so one bottle will last about 45 days. I know what you’re thinking – what on earth is AminoZone? AminoZone is Alkazone’s own blend of 79 amino acid chelated minerals from ancient marine deposits. Alkazone’s drops are clear and odorless. And you’ll taste a difference in the water right away. 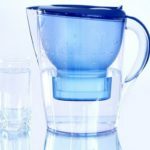 What can alkaline water do for you? For starters, it buffs away acidity from food digestion, so your body naturally eliminates toxic waste. Alkazone’s drops also supply your body with essential minerals – which most of us don’t get enough of. And when your body doesn’t have a sufficient supply of minerals, it takes them from your bones. If you feel sluggish or suffer from “brain fog,” these drops can give you the energy boost and clarity you need to take on the day. Another benefit to these drops is that they eliminate unnecessary waste. I’m a big fan of mineral water, but you know what I’m not a fan of? Plastic water bottles. And that’s exactly what these drops eliminate. I love that they can be added to my own purified water. Never again will I have to buy cases of water with plastic bottles that wind up in landfills. 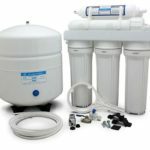 And if you’re not ready to invest in a long-term solution like an alkaline water ionizer for your home, the water drops are an economical way to start enjoying the benefits without the financial commitment. The taste takes a little getting used to for some people. Some people report alkaline, or mineral, water takes some getting used to, but you get used to it after a few days. Others think it tastes much better than regular tap water, so this appears to be more of a personal preference. • I found that starting out with one or two drops at first and working my way up to three gave my taste buds a chance to get used to the flavor. • Add a few drops to coffee or tea to reduce acidity and improve the flavor. 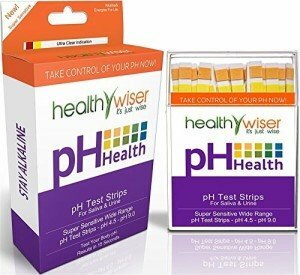 • I recommend purchasing pH strips to test the pH of your water and ensure you’re using the right amount of drops. • Never use more than three drops at a time unless instructed by your doctor. How can you test the pH of your water or your body? 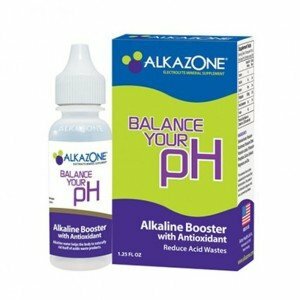 Alkazone is designed to balance your pH and boost the alkalinity of your water. To see if the drops are working for you, you can purchase pH strips to test the alkalinity of the water. The test strips to the right provide results in 15 seconds + come with a free alkaline food chart. You can also purchase saliva or urine test strips to test your body’s pH levels. Yes. Alkazone’s alkaline drops for water are gluten-free. Can these drops be added to tap water, or do they have to be added to a special type of water? 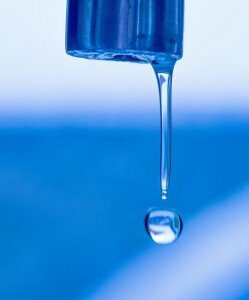 You can add these drops to tap water, bottled water, tea, coffee – any liquid you like. Just make sure you follow the dosage instructions. Do you need more than three drops to reduce the acidity of coffee? No. You should never exceed three drops at a time unless otherwise instructed to by your doctor. Alkazone Alkaline Booster Drops are a great way to neutralize acidity and raise the pH of your drinking water one glass at a time. If you’re looking for an affordable, effective way to fight free radicals, reduce acidity and make the switch to a more alkaline lifestyle, I highly recommend Alkazone’s booster drops. They are available in either individual bottles or money saving 3 pack.